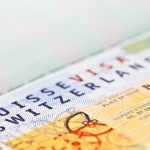 Switzerland’s National Council, or parliament, voted in favour of strict new rules on Swiss residency permits last week. The project, which was started at the beginning 2014, looked like it might come to nothing after it was sent back for review after the successful 9 February 2014 vote to restrict mass immigration. Only a few weeks ago a government commission rejected the proposed laws requiring foreigners to make a greater effort to integrate. The new rules are focused on making it harder for those who show no intention of integrating, to stay. Obtaining and retaining residency permits, including B and C permits, will be determined by the degree of integration. To be integrated, immigrants will need to show they can make themselves understood in a national language, respect the law, public order, and Switzerland’s constitutional values, such as gender equality, as well as participate in the economic life of the nation. Well integrated foreigners will be able to get C permits after 10 years. Parliament rejected the possibility of this being automatic. 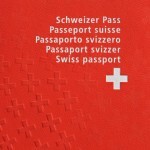 Justice minister Simonetta Sommaruga said that this is consistent with the new rules on obtaining Swiss citizenship. Anyone not respecting the criteria set out in the text, could risk losing their B permit, or having their C permit downgraded to a B permit, if they show no intention of integrating. Parliament decided, that long term dependance on state benefits could lead to the loss of a C permit, even after 15 years of residence in Switzerland. In addition, the National Council accepted, without opposition, a clause requiring foreign preachers, or those teaching foreign culture or languages, to demonstrate an ability to communicate in the national language spoken at their place of work. Family reunification rules were also tightened. A foreigner with a C permit, will need to have satisfactory accommodation, not be on state benefits, and be able to communicate in the national language of his or her canton of residence, before obtaining permission to bring their family to Switzerland. One piece of good news for asylum seekers, was the removal of a special 10% tax lasting 10 years, designed to recoup the costs of providing asylum. Some considered this a disincentive to work. Requisition of assets was kept however. Gender equality laws? Both businesses and politicians in rank should learn it first. Women in Switzerland are still paid less than their male counterparts regardless of having the same credentials and in some cases even better ones than their male counterparts. If this article is indeed a true representation or articulation of the new rules, my question would be how does one show intent of integration in a socio-political climate that is seemingly anti- immigration, anti-foreigner, anti- asylum seeker and anti-refugee? If one takes the populous vote as an indication of sentiment regarding openness towards integration, then how does one reconcile that amongst the five political parties; the most right-wing party- which often uses its platform to further promote anti-immigration anti-asylum and anti-refugee polices- holds more than 50% of that populous vote. How does one reconcile the idea of integration or indeed the intent to integrate when the microcosms that seemingly exists within the society- be them expat/ immigrant based, asylum seeker and refugee based, 2nd and 3rd eastern European based- exists primarily because of the push back by the wider society towards said idea and concept of integration? How does one reconcile the introduction of exclusion zones in Bremgarten/ Aargau, in Eigenthal and Nottwil/ Lucerne, in Alpnach/ Obwalden and most recently in Oberwil-Lieli again in Aargau, where the NIMBY philosophy prompted a referendum and the passing of a resolution to reject some 8- 10 asylum seekers in a village where the population ranges from 2’100- 2’200 and the subsequent payment of a Sfr 290’000 fine? 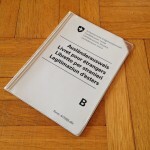 Being a foreigner, I for one believe that every Swiss person has the right to his own views and opinions regarding immigration and indeed integration for that matter, and the right to exercise those opinions and views via the democratic process- even if those views may not be agreeable and detrimental to me. I have but two choices in this regard: put up with it or leave. But if there is one thing I would ask if I am indeed allowed too, is honesty, transparency no matter how brutal, undiplomatic, unapologetic or nonpolitically correct it may seem. These new rules will do nothing to promote integration… as it’s true intention is to stifle it. Well its easy. The hardest step is to learn the language but in 10 years it’s only natural to acquire this skill. I wonder how many Muslims now will be expelled due to infringing gender equality laws?